Instek Handheld LCR-814 : 1% Basic Accuracy, Test Frequency 120Hz/1kHz and Equivalent Circuit depends on selected Measuring Function & Range, High Resolution: 0.1uH, 0.1pF and 1mΩ, Dissipation Factor Measurement, Zero Adjustment, Optional Accessory: TL-06 for SMD Type Component. 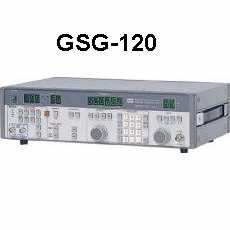 Instek LCR-8101G : Wide Test Frequency 20Hz ~1MHz, 0.1% Basic Accuracy & 6 Digits Measurement Resolution, Large LCD Display with Intuitive User Interface. 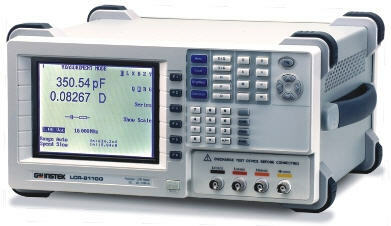 LCR Meter Instek 821 : 12Hz to 200kHz, 503 Continuously Variable Frequencies, 0.1% High Measurement Accuracy, 100 Setup Save/Recall Memories, Absolute Value, DValue, and D% Measurement Display. Instek LCR Meter 819 : 12Hz to 100kHz, 503 Continuously Variable Frequencies, 0.05% High Measurement Accuracy, 100 Setup Save/Recall Memories, Absolute Value, DValue, and D% Measurement Display. 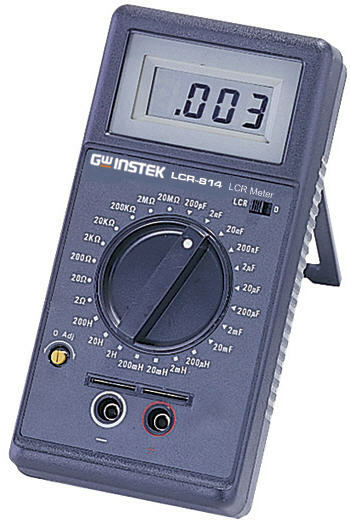 LCR Meter Instek LCR-817 : 12Hz to 10kHz, 489 Continuously Variable Frequencies, 0.05% High Measurement Accuracy, 100 Setup Save/Recall Memories, Absolute Value, DValue, and D% Measurement Display. 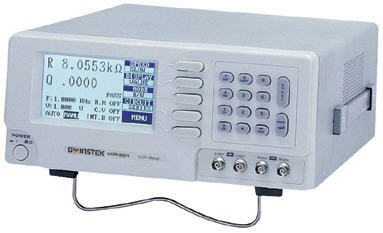 Instek LCR-816 : 100Hz to 2kHz, 0.1% Measurement Accuracy, 100 Sets Memory for Save/Recall of Setup State, Absolute Value, DValue, and D% Measurement Display, 240 x 128 dot Matrix LCD Display, Test Condition and Test Result shown on the screen Simultaneously.